Dr Robert Gallo earned fame when he co-discovered HIV as the cause of AIDS in 1984. He pioneered the development of the HIV blood test and his research has helped to develop HIV therapies that prolong the lives of those infected. Gallo has dedicated his life to the fight against the AIDS epidemic as well as other viral diseases. He was the first to identify a human retrovirus and the only known human leukaemia virus. Robert Gallo is the Founder and Director of the Institute of Human Virology at the University of Maryland. Prior to this he spent 30 years at the National Institute of Health. He recently founded the Global Virus Network, a world-wide network of reputed virologists committed to the task of identifying, investigating and controlling viral diseases that pose a threat to mankind. Gallo has received numerous honours for his contribution to science and holds 29 honorary doctorates. 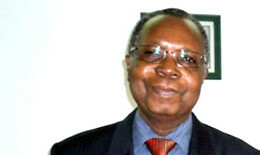 In 2006, he was awarded the Gold Mercury Award for Global Health.